Calendars will be available for purchase after Passover. 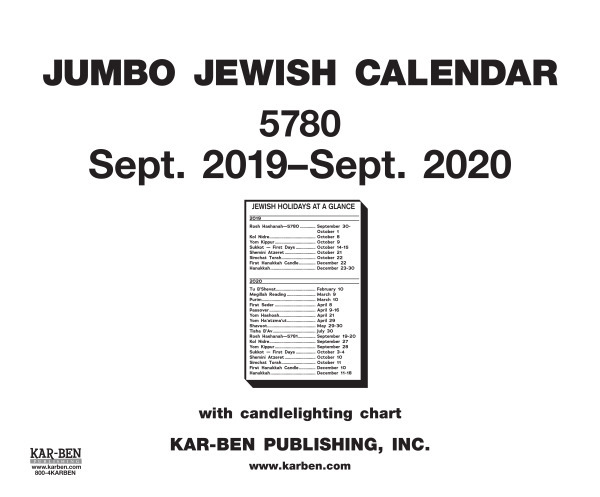 To receive notification when Kar-Ben's 5780 Jewish calendars are available, please sign up for our email list by clicking this link. This Jumbo 13-month calendar can serve as a desk pad or wall calendar in home, office, or classroom. 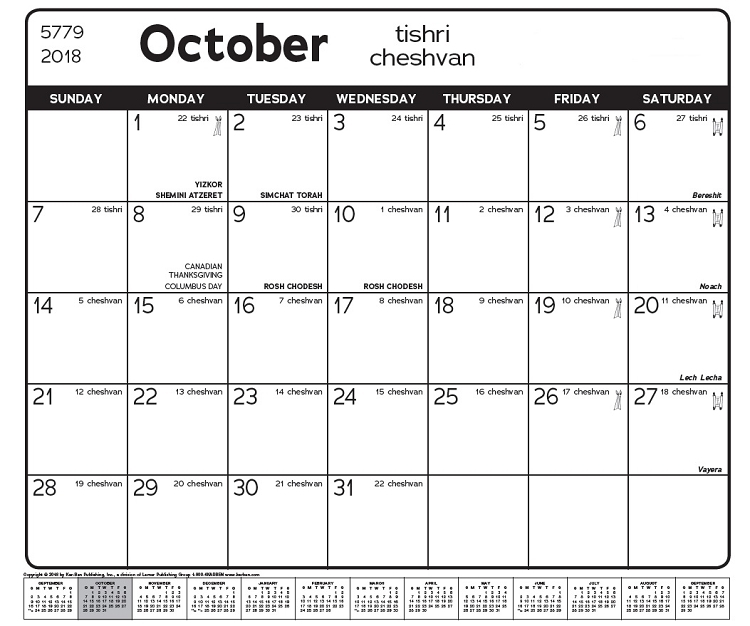 Each Jewish holiday is highlighted throughout the calendar and Shabbat Candlelight times are shown in the back.